Hjelmslund Electronics are specialized in making USB to RS485, RS422 and RS232 converters, targeting customers who needs converters with better quality than the cheaper non-isolated, but smaller and less expensive than the industrial types of isolated converters. All converters are usb powered, and works as virtual comports. The USB485 family of USB to RS485 converters installs as virtual comports, and can be accessed just like a standard comport in the PC. They are powered from the USB side, hence no external power supply is needed. They are fully Modbus compatible, and both 2 wire (half duplex) and 4 wire (full duplex) models are available. They support baudrates up to 1 Mbps, and have 128 bytes transmit and 256 bytes receive fifo. Last but not least, all models are electrically isolated, as any high-quality converter should be! A classic 2 wire, half duplex model, that meets most customers demands. Its 2500 Volt isolation barrier and ESD protection gives it the quality needed, for being used in industrial automation. During operation it automatically switches between transmit and receive mode, without any need for the user to control the data direction programmatically by asserting RTS, as seen in simpler converters. The STI4W is our 4 wire full duplex RS485/422 converter. The receiver is always enabled, but the transmitter is only enabled during data transmission, thus making it possible to use it even as a slave device. * RS422 users : The STI4W fullfill both RS422 and RS485 specifications. Mount it as any other port in your enclosure, with the USB connection outside and the RS485 cable inside. By placing your isolation barrier in the cabinet wall, you avoid getting USB cables into your industrial installation, as well as avoiding having industrial communication near your pc, hence maintaining the best possible system separation. The CPT is our 2 wire, half duplex, cable version converter. 3 meter highly flexible cable, but other lengths available upon request. The cable screen is connected to Modbus 'common' internally in the converter. Standard cable length is 3 meter, but 1.5 & 5 meter cable are also available. The USB-I2O2 have 2 opto isolated inputs and 2 relay outputs, and is programmed as a serial port, using the handshake signals to set and read the IOs. No special drivers are needed, just program it using the standard windows component mscomm32.ocx in your application. Opto coupler inputs : 3-48Vin, AC and DC. Our isolated USB to RS232 converters are ideal for connecting PCs with industrial installations, maintaining a high quality electrically separation between the 2 systems. They installs as virtual comports and can be accessed just like any other comports in the PC. The converters are USB powered and need no external powersupply. All our RS232 converters support baudrates up to 1 Mbps, and includes 128 bytes transmit and 256 bytes receive buffers. Size doesn't matter, but....it sometimes does! The smallest isolated RS232 converter on the market, so if you want compactness, this should be your choise. 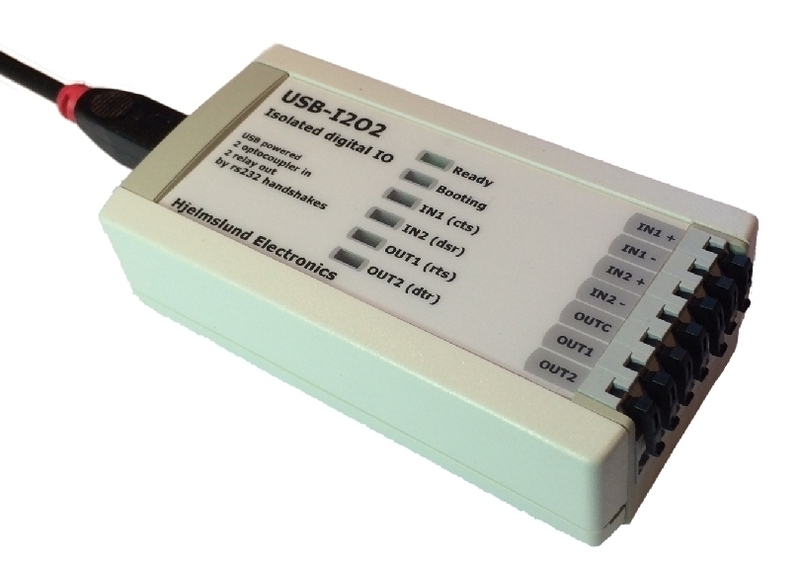 The USB232-ILP is an isolated RS232 converter for through hole (25mm diameter) mounting in cabinet walls, for giving easy access to internal RS232 devices, thru an external USB connection. The converter have a 2.5 KVolt isolation barrier and 15KV ESD protection, hence enough robust for being used in industrial installations. 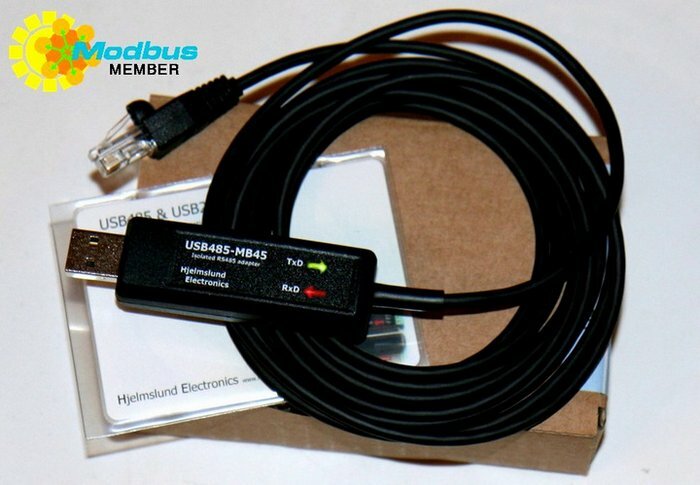 Desktop version RS232 converter with full handshake. It has clearly marked which signals are inputs and which are outputs, so no doubts and no more googling before hooking up your RS232 devices - no more problems! It is USB powered, consuming less than 100mA, so it can be powered from any USB port and hub flawlessly. 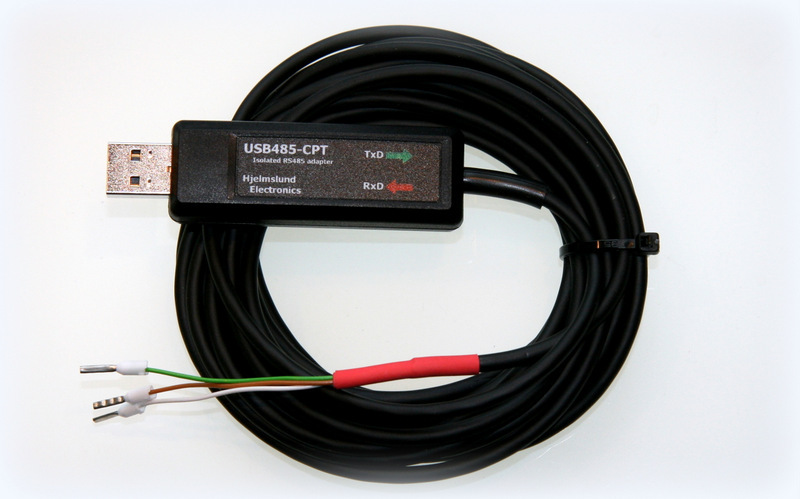 USB isolator and transient protection for USB 2.0 full speed systems. No powersupply and no drivers required. The isolators are intended to be used in industrial environments, where the host computer needs to be isolated and protected from external electrical interference, and where groundloops needs to be eliminated. 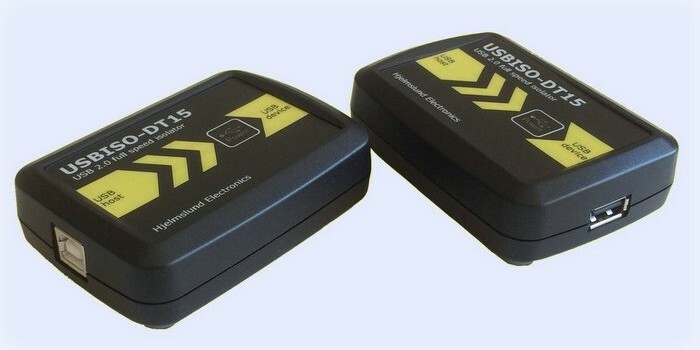 The USBISO-AA is a little stick type and the USBISO-DT15 is a larger desktop type, with extended isolation voltage.